Are you thinking about booking your first cruise, but you're feeling nervous about spending seven days on a boat? Have you booked a cruise but keep flipping between excitement and apprehension? 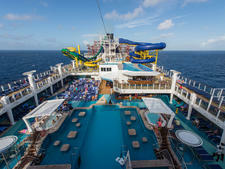 Are you a fan of cruising but having trouble convincing family or friends to join you? Until you've experienced it, a cruise vacation can seem like a risky endeavor. When else do you join hundreds or thousands of people on a giant ship in the middle of the ocean? It's hard to know if the cabins will be like hotel rooms, if you'll enjoy the food, if there will be enough fun things to do. And above all -- is it a safe way to travel? Cruise Critic's cruise experts can tell you all about what to expect, but sometimes a real-world story makes more of an impact. So we found a first-time cruiser and asked her to share with us her pre-cruise concerns and hopes, as well as her post-cruise impressions of her vacation. Alexa chose a weeklong cruise on Disney Fantasy to the Eastern Caribbean for a spring break trip with her husband, parents and three kids, ranging in age from 5 to 10. Initially, she was a bit hesitant to take the plunge, but she came back as a cruise convert. Here's what she had to say -- plus some tips to allay any lingering fears and help you plan the best cruise ever. "We decided to cruise based on the great feedback and positive promotion of people with small children. Disney Cruise Line got such great reviews. 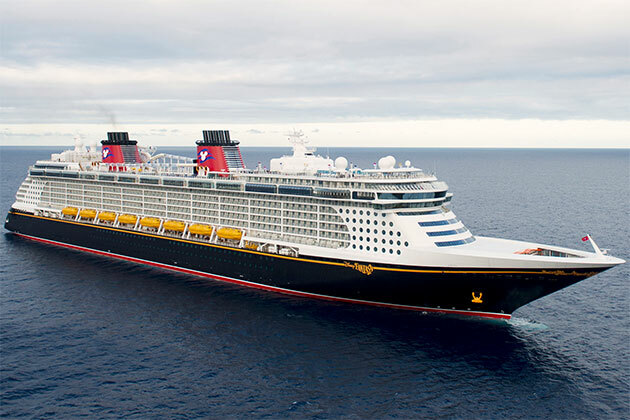 The ship [Disney Fantasy] is the newest in the line, and the itinerary matches with our March school vacation. It's an easy time getting to Florida; we can get there quickly." It can be daunting to look at all the cruise line, ship and destination possibilities and try to figure out which is best for you. Alexa made two smart moves: She started with a vacation recommended by her friends and chose a convenient departure port to make travel easier. Cruise ships leave from every coast in the U.S., as well as the U.K., Australia and Europe, so most vacationers can find an easy travel routing. And if you don't have friends to recommend a cruise line, call up a travel agent for advice, or ask for help on the Cruise Critic message boards. "I'm concerned about safety because I've never been on a cruise. What's the notification system in case of an emergency? How is law enforcement on ships? 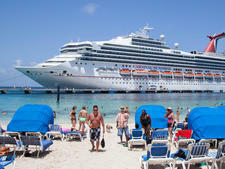 What do cruise ships do to keep germs at a minimum?" It's no surprise -- given all the hype in the media whenever something bad happens on or to a cruise ship -- that Alexa's number-one pre-cruise concern was safety. But once aboard, she found her fears quickly abated. "We got tours of the galley and bridge, and it was fascinating and reassuring. My safety worries faded once I understood how exactly it works." If concerns about health and safety are keeping you from cruising, knowledge is power. Cruise lines are subject to all kinds of regulations, many falling under the Safety of Life at Sea (SOLAS) convention of the International Maritime Organization. These range from systems onboard to emergency procedures. The Coast Guard and CDC do regular inspections of ships sailing from U.S. ports to make sure they're in compliance with safety regulations and cleanliness standards, respectively. Plus, on every cruise, passengers are required to attend a safety drill, so they know what to do in the rare case of an emergency. You can do lots of pre-cruise research on the minutiae of cruise ship regulations, but once you step onboard, you'll see the hard-working crew and the procedures in place and begin to relax. What's a Cruise Really Like? "I have an ill-informed vision [of what a cruise will be like]. I imagine a lot of people, a lot of activity, movement and motion. I'm hoping it's a relaxing and a serene environment. Are there areas on cruise ships that have peaceful settings and are not overstimulating?" Before her cruise, Alexa didn't really know what to expect. Cruise lines promote a vision of a relaxing getaway -- chilling by the pool, leisurely dinners -- yet many first timers imagine crowds. The reality is somewhere in the middle. Reports Alexa, "There was so much for everyone to do. The kids had the best time. It was easy to do what we wanted with no work." On the other hand: "The two pools were very small and there were so many families. If you want to be outside and near the pool, it was just too busy. But we only ever felt overwhelmed by crowds at the pool deck." The perfect, empty beaches you see in brochures are definitely not the reality. But you can find many relaxing spots on a cruise ship -- on a sun deck away from the main pool, at the spa, in a quiet indoor lounge or even on your private balcony. 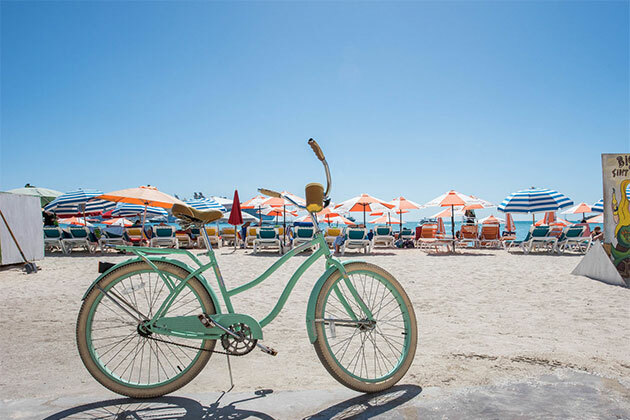 On the flip side, if you're looking to be entertained, you will never find a shortage of activities, shows, talks and shopping to fill both days and nights. 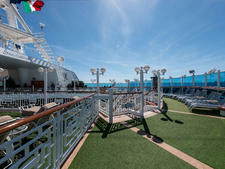 And if you like the high-energy buzz of a bustling pool deck or busy bars, you can find that vibe on a cruise, as well. "We booked a standard family room with a balcony -- don't know what type. My parents are next door. We went with a room that could fit all five of us and was least expensive." While repeat cruisers often obsess about which specific cabin number is the best, new cruisers often book on price alone, similar to booking a hotel room. Before the cruise, Alexa didn't really give her cabin much thought as long as everyone could sleep there. The most important factors to consider are whether you want the cheapest room (usually a tiny space with no windows) or whether you want to pay more for a window, balcony or a fancy suite. Expect all standard cruise rooms to be smaller than hotel rooms; however, the suites, depending on the type, can be quite spacious. "The cabin was well appointed. Nothing to complain about -- we expected it to be smaller. I admired the ergonomics; it was really thought out, and everything was there that you needed." 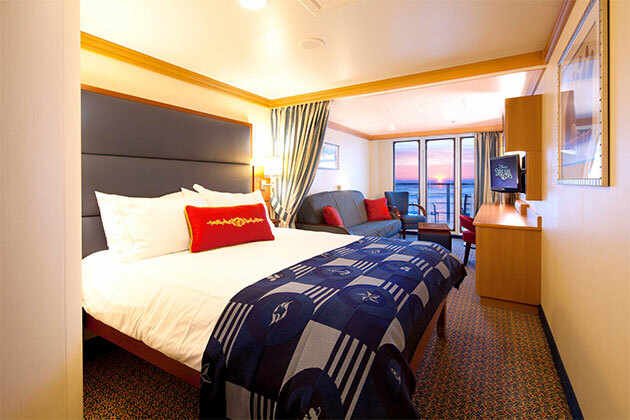 If you're worried about spending a week in cramped quarters, you'll be pleased to know that cruise lines put a lot of thought into designing cabins, so they can fit as much as a possible into a small space without making it feel overcrowded. "Service was the best I ever experienced. I imagined it to be good, but it was exceptional. Everyone went above and beyond, from the check-in people to the people who cleaned the rooms to the people who served you [dinner]. I didn't expect the service to be that over the top." And this from someone who went to hotel school and worked in the hospitality industry! Alexa also told us that the impeccable service helped to mitigate her fears about cleanliness and safety. Even the cheapest rooms on a cruise ship have an assigned cabin steward, who will clean your room (and your mess), turn down your bed at night and bring you ice and other things you need. Staff try to be as accommodating as possible, so you can have a vacation to remember. "I'm looking forward to the ports -- St. Maarten, Castaway Cay [Disney's private island] and San Juan. It will be fun to watch the kids see something new." Alexa wasn't disappointed. "We didn't expect Castaway Cay to be so great. The water slide into the ocean was awesome. There was a ton to do, and the snorkeling was fun. My most favorite port was St. Maarten. We hired a boat service to three islands and swam with sea turtles. The captain went to find a pod of wild dolphins, and we got to swim within six feet of playing dolphins. I'll never have that chance again -- it was life changing!" Cruising isn't just about the ship; it's about the places you visit. For some, it can be the best part. A little pre-cruise research can go a long way in giving you the best in-port experience possible. For Alexa, it meant researching independent tours that offer experiences and smaller groups than the ship-sponsored tours did. For others, it might mean finding the best restaurants, beaches, bars or shops, or hiring a private, local guide to show them the sights. But if you're pressed for time, don't worry -- the ship will have plenty of in-port activities open for signup when you get onboard. "Food was carefully planned. We don't eat gluten, and they accommodated. We got gluten-free bread every night. 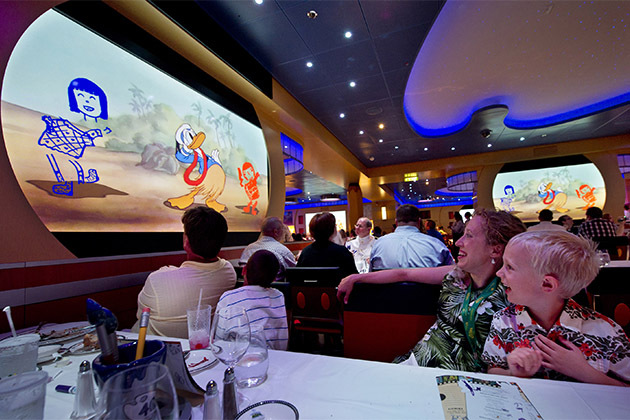 The kids really enjoyed Animator's Palate [one of Disney Fantasy's main restaurants]. We were totally surprised by the interactive elements. The decor was toned down, and it was an easy dining experience." Cruises have a reputation for nonstop eating that they certainly live up to. But new cruisers don't always know how much thought goes into cruise ship dining and how amenable the staff are to catering to special diets. 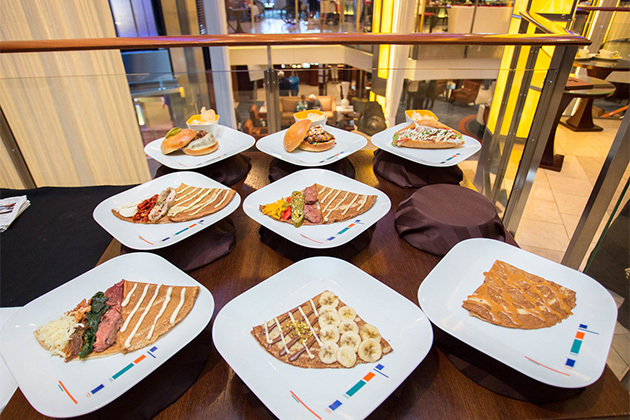 You will find an array of dining venues and cuisines available on modern cruise ships -- everything from huge buffets to Asian, Italian, Brazilian, Indian, French and Mexican restaurants. If you need food that's low-carb, low-salt, low-calorie, gluten-free, vegan, Kosher -- you name it -- restaurant staff will provide it. You just might need to alert the cruise line in advance of sailing, especially if you require specialty food items a ship might not normally carry. "We only used the kids club once for one hour. Our kids didn't prefer it; they preferred to be outside with their parents and grandparents and didn't want to be alone in there without us. But we toured it and it was beautiful." Prior to the cruise, Alexa was sure the kids would have a blast (and they did! ), but she wondered if the drop-off kids club (like camp on a cruise ship) would be a good option for her family. Turns out, her three wanted to stick together with their extended family. The take-home message here is that cruise lines do have fabulous activities for kids, but not all kids wish to make new friends and spend lots of time away from their family on vacation. (Often, the older and more social the child, the more they want to hang out in the clubs.) Don't expect that you'll be able to dump your little ones in "daycare" and hit the spa; do know that, whether you stay together or separate, there will be plenty of fun activities for all family members. Bringing extended family along, as Alexa did, is a nice way to share new adventures with your relatives and provide a break for tired parents without having to resort to dropping off the kids with strangers for an afternoon. "I had no issues with the ship's movement after day one." One of the main reasons people hesitate to take a cruise is that they fear they will be sick. And while, for some, it takes a bit of time to get used to the rolling of the ship, most people don't get sick at all. 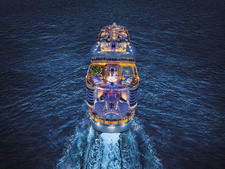 Large, modern cruise ships are built with smooth sailing in mind. They're designed with stabilizers to minimize rocking. The experience is not like that whale-watching trip you took on a small boat where everyone was queasy by the end. Just because you got sick on Grandpa's fishing boat or that ferry ride in 1982 does not mean you will feel ill on a cruise. And if you do? A wide array of pills, patches and pressure bands -- and even ginger candies or green apples -- can quickly settle your stomach. "I was impressed by how the trip went down. Traveling with kids had sounded so tiring, so until now we hadn't done much. My parents LOVED it, and it was fun to see the kids in a fun environment. It was very different from what I expected, and everything was well done. It was a nice break with just family and away from the day to day." The great appeal of cruising is that it's an escape from the hassles and chores of real life, from the cold and from your everyday surroundings to a place where you're pampered, entertained and given opportunities to have new experiences. Our first timer discovered that. Maybe you'll be next?